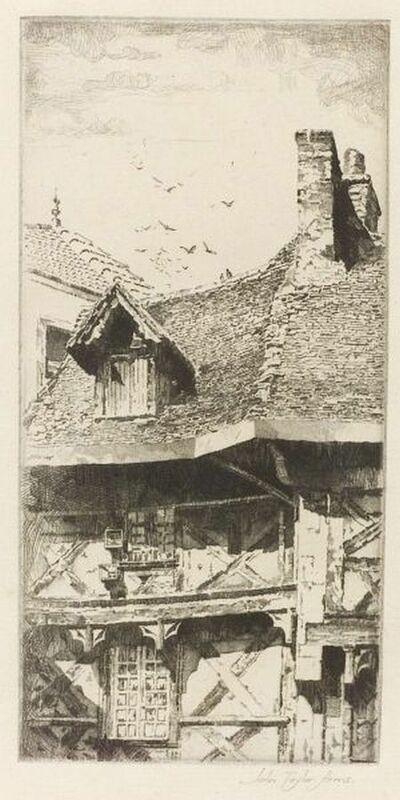 A Roof in Thiers, alternatively titled An Ancient Roof, 1921, edition of 60 (Fletcher, 115). Signed "John Taylor Arms" in pencil l.r., identified on a typed label affixed to the backing. 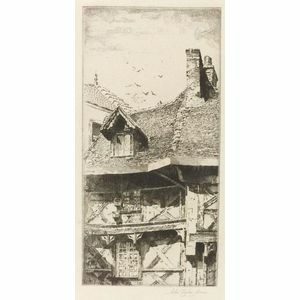 Etching on laid paper with partial watermark "Hand…," plate size 6 3/8 x 3 in. (16.2 x 7.6 cm), matted, framed. Condition: Margins over 1 inch, light toning, pencil annotations and collector's stamp "M.B."